KAH Tequila Blanco contains intense sweet notes of the cooked agave, followed by a spicy white peppery punch. It is silky and delicate, leaving a sachet of spices on the palate. 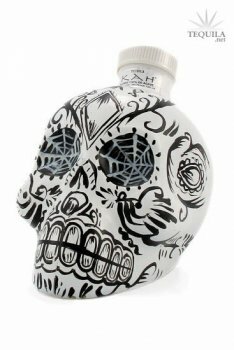 The KAH Tequila Blanco bottle was inspired by traditional Calaveras (skulls made from sugar) which are used in Day of the Dead rituals to symbolize death and rebirth. Sugar skulls are given to family still living and they are invited to "eat their own death", to acknowledge the belief that death is nothing but the passing from this life into the next. Bolivians celebrate their version of the Day of the Dead by keeping the skulls of their loved ones, calling it the "Day of the Skulls". These decaying heads are brought out each year on November 8th and taken to the cemetery where Bolivians feed them, give them cigarettes and Tequila. Keeping and entertaining the skulls of their deceased is seen as a way for the dead to be immortalized. They believe the skulls of their ancestors protect the living by warding off evil spirits. KAH Tequila was designed to pay reverence and honor to Mexico and its people. Its bottle and spirit are reflective of Day of the Dead, the 3,000 year-old Meso-American ritual honoring deceased loved ones. 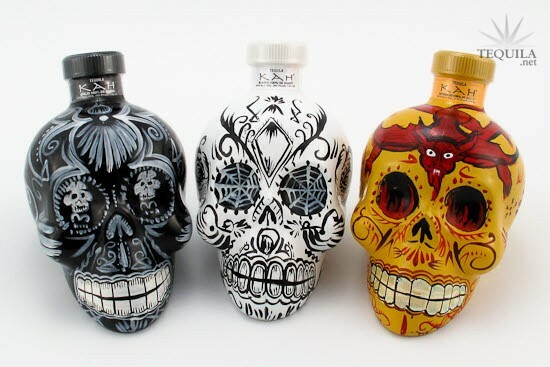 KAH's unique packaging, in turn, is inspired by traditional Calaveras used in Dia de los Muertos rituals to symbolize death and rebirth. The word KAH translates to "life" in the ancient Mayan language. Every bottle is an individual, hand-crafted work of art, not two bottles are the same. While the bottle captures that enduring spirit, so does the Tequila inside, as KAH's distillers transform hand-selected 100% Blue agave into lively Blanco, Reposado and Añejo varieties that are both certified organic and Kosher. The bottle alone is enough to drive sales, but the juice is just as impressive. The smell is light and crisp with a hint of pepper. I know there's agave in here but it's not in your face. First taste reminds me of vodka. Now don't get me wrong there is the typical profile of tequila here with a lighter agave note. But this sits more light and watery on my tongue. I really enjoy this one on the rocks. To me this is a vodka infused tequila but this tastes better than all the vodkas I have tried. This doesn't have a rubbing alcohol taste just to make that clear. Bad, Good, great? Good for a tequila, great for something different. Tequila for the vodka drinker? The bottle was what intrigued me. What's inside made me glad that I purchased this tequila. It has a great earthy taste to it. It's not too powerful of a taste which makes it a really interesting tequila. Great for mixing drinks. KAH Blanco is one of my favorite blancos. 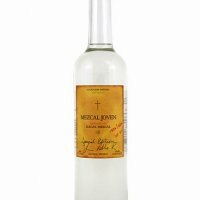 Sipped or mixed, you want to taste this tequila in your drinks. The sweetness is what got my attention initially, but the mild heat at the end of a sip is what kept my attention. Though a little pricey, it is well worth it, IMHO. I noticed mild tears in a Riedel glass. Would recommend it! Had a flight at Total Wine & More. Loved the blanco the most. Fabulous presentation! Fun concept. 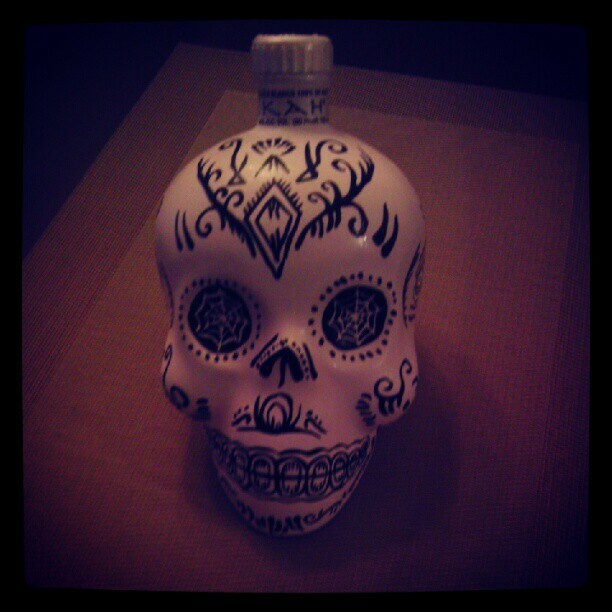 Not only does the bottle look great, but the tequila is quite excellent. Sweeter and rounder than I would have expected from a Lowlands blanco. I decided to buy one of the tiny 50ml bottles of the KAH Blanco before splurging on one of the larger bottles; even the small bottles are ohh-soo beautiful! Tasted neat out of a shot glass. Initial odor was VERY potent; reminded me of Patrón, only bolder and more earthy. The initial taste was very crisp and refined. There is agave, citrus, and grassy flavor there, so it's not "over-distilled" at all. The consistency is good, but the burn sets in quickly and sort of overpowered everything else for me. I would prefer this stuff in a mixed drink over sipping, but that doesn't mean it's not worth a try. I didn't get much out of the KAH blanco other than it has a nice strong agave taste with a big alcohol kick. I will move onto the reposado and añejo next.